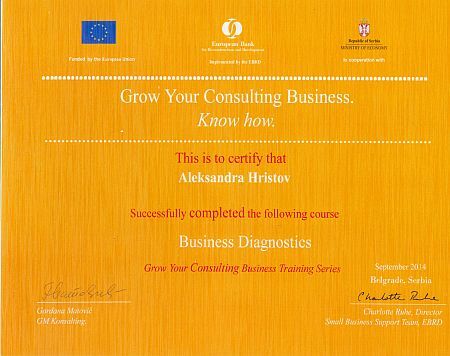 I have attended “Grow Your Consulting Business Series” Business Diagnostics training created by EBRD European Bank for Reconstruction and Development. 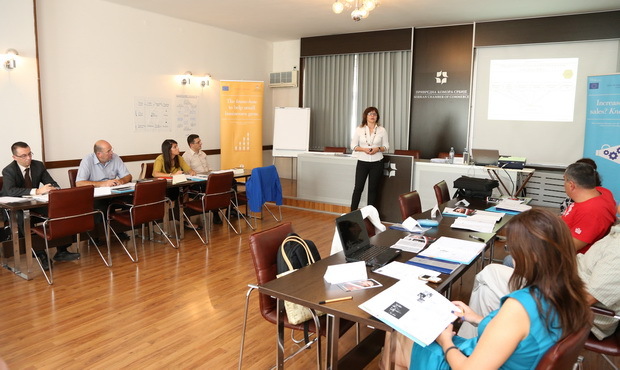 This 3 day event was organised by Small Business Support in Serbia office and held in Belgrade on 11-12-13 September 2014 at Serbian Chambers of Commerce. After completing the training I have received the certificate.